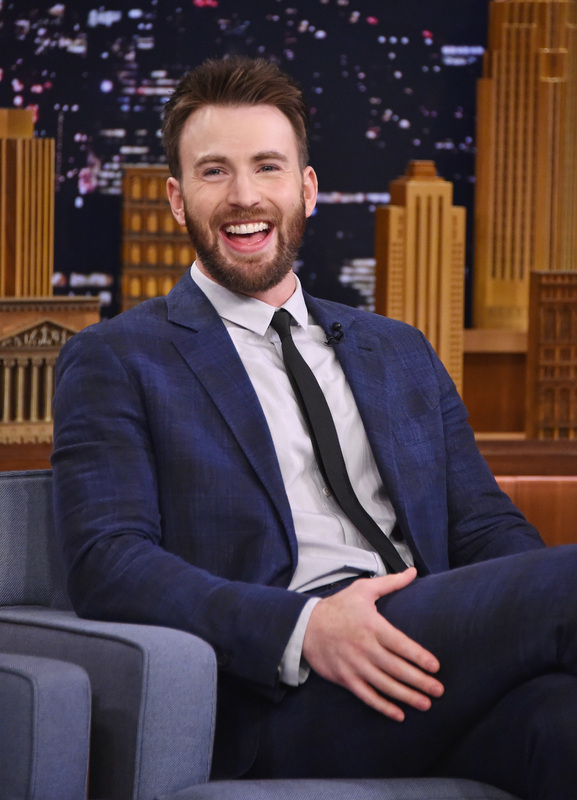 For the many, many people out there crushing hard on Chris Evans, I come bearing news that is likely to disappoint: Evans is reportedly dating someone new, and sadly, it's not you. I know, it's OK to feel hurt, crushed, and confused. According to Us Weekly, Chris Evans and Jenny Slate are dating, which seems to be surprising people on social media, since it feels like this pairing came out of left field. After all, Evans was rumored to be dating on-and-off girlfriend Minka Kelly as recently as January, and news of Slate's reported divorce from husband Dean Fleischer-Camp only broke a week ago, so it definitely feels like this is a super-fast romance. But it's actually not surprising that Evans is dating Slate, and here's why. For starters, the two have been working together on the forthcoming drama, Gifted , slated for release sometime this year. They were spotted filming together on the set of the movie back in October, and it's obvious the two formed a quick friendship. Of course, Slate was married to Fleischer-Camp at that point, but in late October, Evans posted a sweet "follow Friday" post on his Twitter account, urging his fans to follow Slate and their co-star Octavia Spencer. I didn't know what to expect when I met Chris, I was a little scared because I kind of felt like, "Well, I don't know him. He's a giant man with huge muscles and he's Captain America. How could we ever connect?" ... The first night we hung out I was like, "Wow, I could hang out with Chris for like 90 hours." Evans said of Slate, "Oddly enough, I’ve only known Jenny for a few months, which is insane to say because we’re like the same animal." They shared plenty of laughs and silly moments on Faris' podcast. The pair clearly have fond feelings for one another, so if it's true that they're dating, it seems like they're having fun, which is great. Also, there's literally nothing I'd love more than to join a double date with Evans, Slate, Faris, and her husband, Chris Pratt. I'm happy to fifth wheel, guys. Give me a ring!